The Super Value set includes 5 pieces. One Full Fitted Sheet 54in x 75in. One Full Flat Sheet 81in x 96in. Two Standard Size pillowcases for 20in x 26in pillows. Finished Size 20in x 30in and one Twin/Full comforter size 72"x 86" all made of 100% polyester construction. Soft and Cozy for kids to enjoy. Great for bedtime and for watching TV. 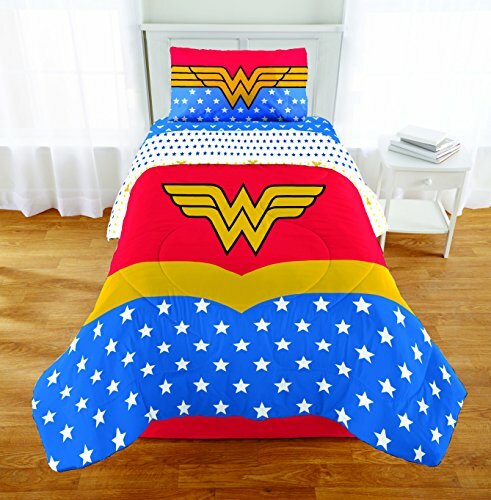 Girls will love this new bedding set. 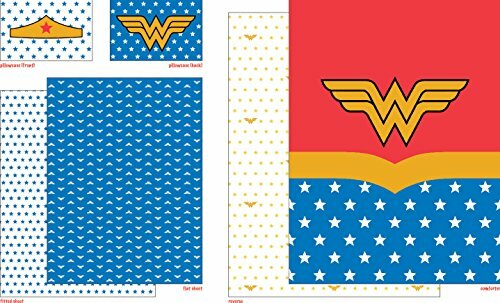 If you have any questions about this product by Wonder Woman, contact us by completing and submitting the form below. If you are looking for a specif part number, please include it with your message.